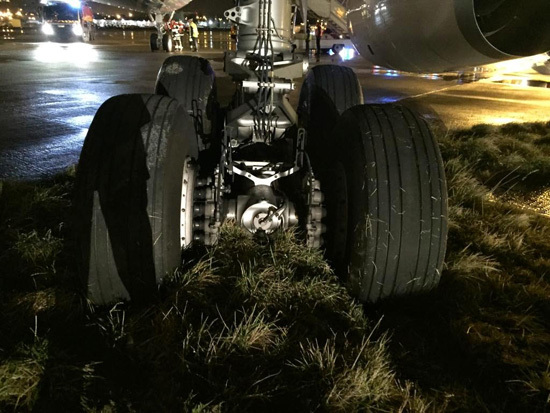 Pilots of Oman Air were lauded for their “…quick thinking and professionalism”, last week by the Times of Oman news service, quoting a tweet from Oman Air, after flight WY 131 became stuck in some mud at Paris’ Charles De Gaulle Airport. “Missed it by that much” – Maxwell Smart. The newspaper (again quoting Oman Air) stated that the pilots were responsible for avoiding any significant damage to the aircraft, and apologised to passengers of the flight (none of whom sustained injuries) for the delayed departure. A few cynical, conspiratorially-minded members of the community observed that the newspaper failed to address the possibility that it was these very same pilots who somehow navigated the aircraft from the runway into the mud in the first place. Those types are clearly just feeble-minded killjoys however who never stop to acknowledge how much worse things could potentially be. Proof of the pilots’ quick thinking and professionalism? This didn’t happen. In a later clarification on the incident, published January 18, Times of Oman, quoting a statement from Oman Air, again praised “…the calm professionalism of the highly trained pilots aboard Flight WY131”, and again skilfully avoiding any mention of how the plane found itself in the mud. Industry insiders were quick to point out that the plane had been flown safely to Paris where it also landed safely. 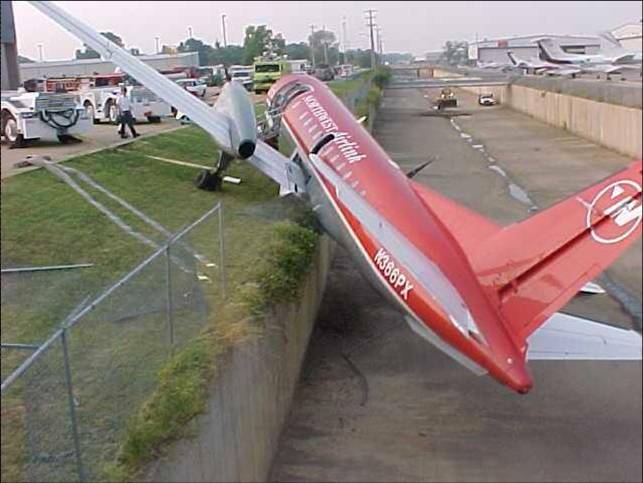 The only minor mishap occurred when the pilots attempted to park the plane, and everyone knows that parking can be tricky. 1 Comment on "Quick Thinking Pilots avoid Disaster"
Great minds think alike. I wonder if they were on their cell phones while “parking,” (a la “Hi, honey, I’m just taxiing up to the gate…ooops!”), doing a crossword puzzle (“Anyone know what 9 across is? 6 letter word for dull minded, feeble?”) or just so tired they we asleep and the autopilot was parking the plane but didn’t quite “get that last curve”…? Or does Paris Charles DeGaulle have big huge ornamental lawns around all of its parking areas? I can’t recall – have not flown into CDG in a while, but hey, anything’s possible, no?